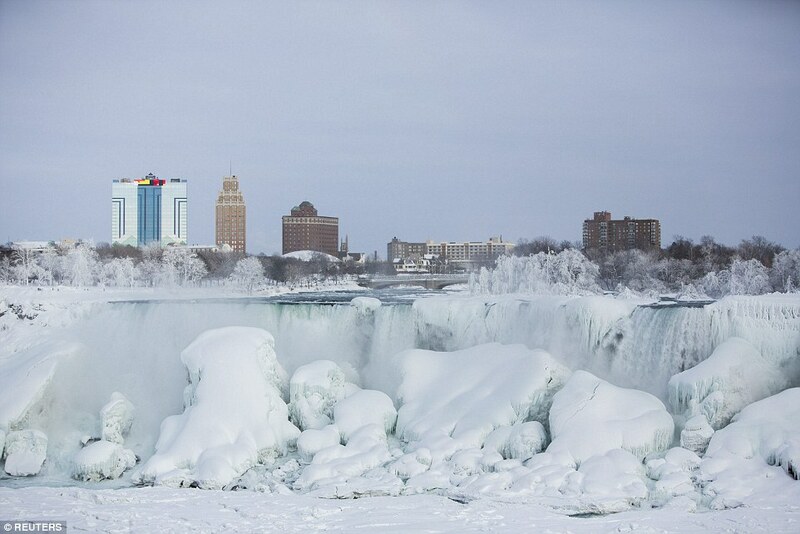 For the first time in in e while, Niagara Falls are pretty much frozen. 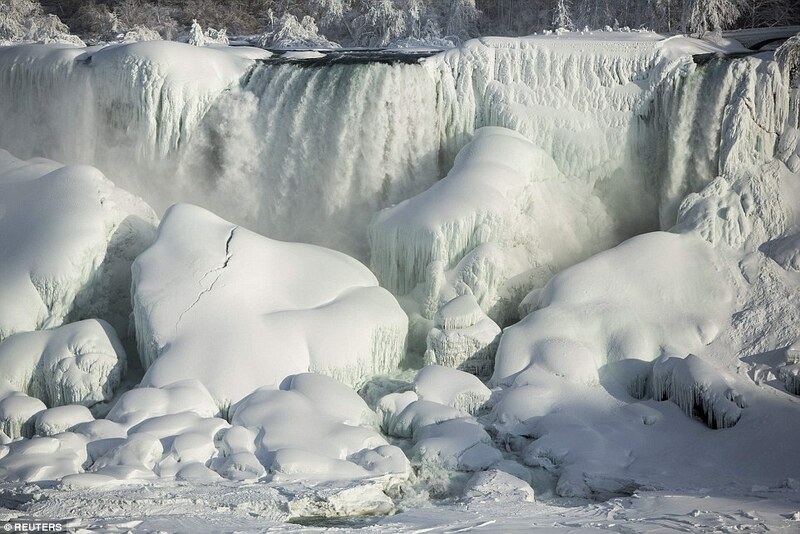 Yes, the Falls are frozen by an unprecedented cold wave. The temperature is around minus 22-degree and is expected to get even colder on Thursday. 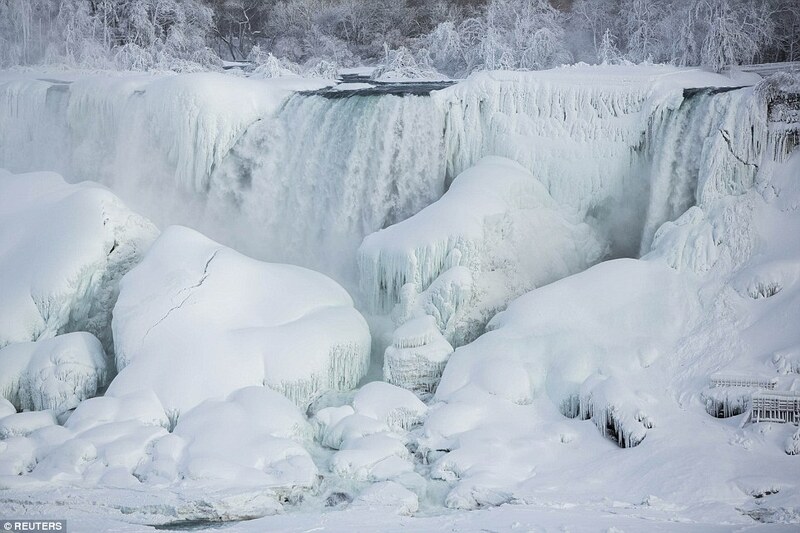 Niagara Falls froze this year. 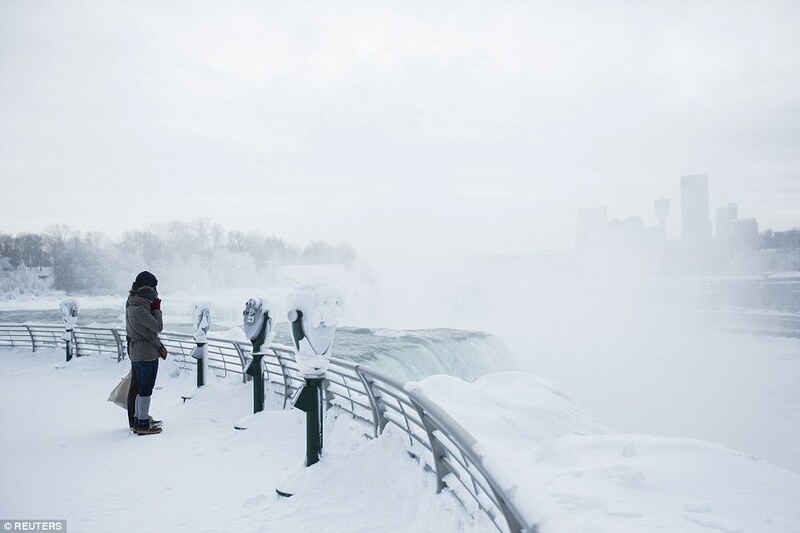 The cold air front that passes the northern states froze the Great Lakes on US-Canadian border. 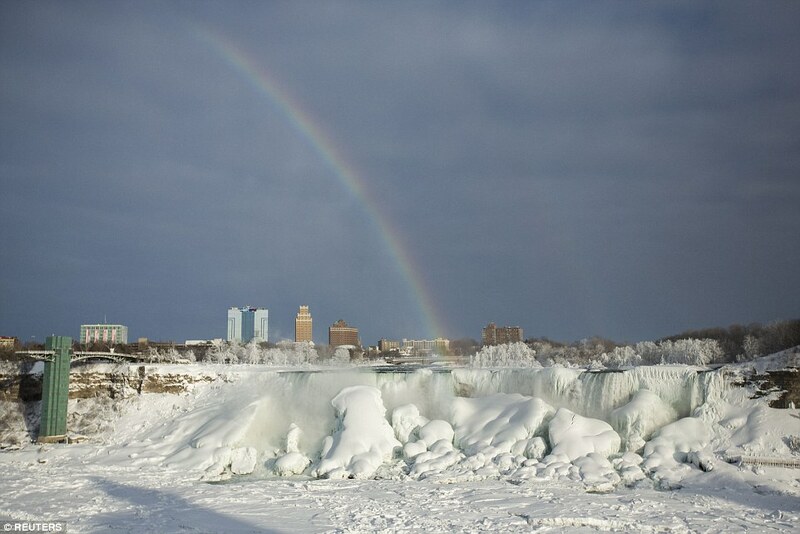 The temperatures around the Niagara Falls went under 22 degree Celsius. 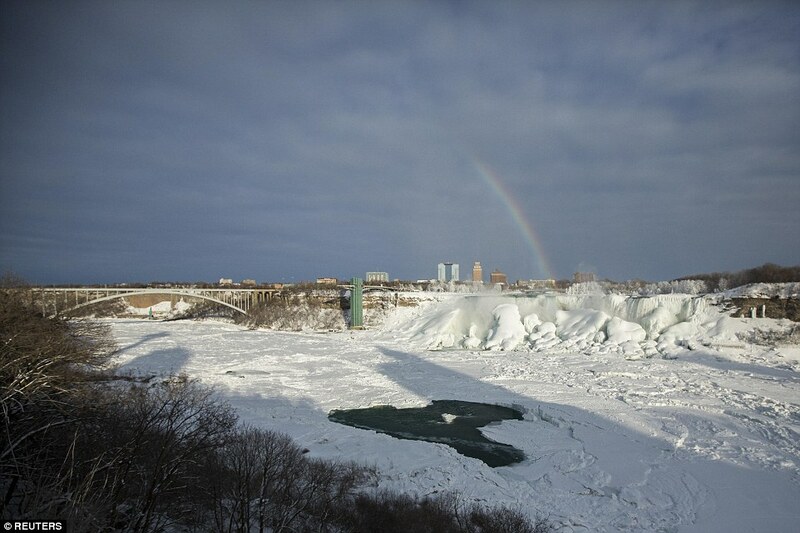 The waters of the Niagara Falls are again partially frozen. 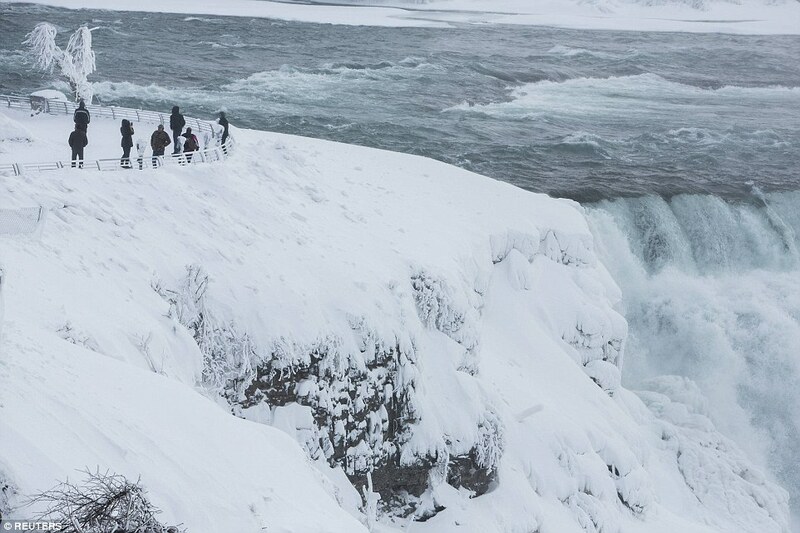 The biggest waterfall in North America again delights visitors with unique pictures. 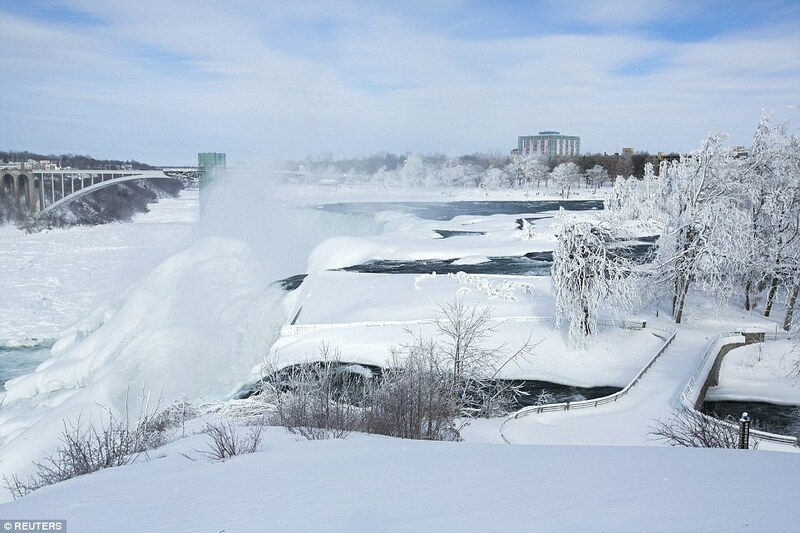 Twenty million people a year visit the three Niagara waterfalls. The water passing through this miracle of nature is a rate of more than 500,000 liters per second.